Around the town of New Smyrna Beach, FL, you’ll find several airports within a reasonable driving distance. There is a public use, general aviation airport in the town: New Smyrna Beach Municipal Airport which primarily services corporate and general aviation activity. The closest major large airport is the Daytona Beach International Airport (DAB) which is located just 19 miles from New Smyrna Beach. 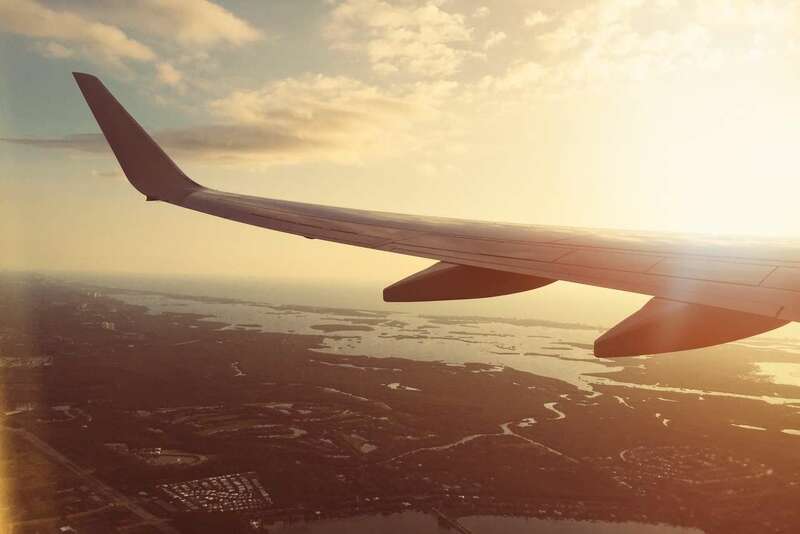 Another major airport nearby is the Orlando Sanford International Airport which is located just 33 miles from the town, but this is a secondary airport for the Orlando area. The larger Orlando International Airport (MCO) is just 74 miles from New Smyrna Beach, which is the Orlando area’s primary airport. The Jacksonville International Airport (JAX) is 122 miles away. Tampa International Airport (TPA) is also 144 miles away. All of these airports represent a good option for flying into New Smyrna Beach as the driving time is manageable from any of them. You can easily travel from Daytona Beach or Jacksonville to New Smyrna Beach along Interstate-95 for a family vacation. Jacksonville is just over 100 miles north of New Smyrna Beach and will take you about an hour and 40 minutes to drive that stretch of I-95 depending on traffic. 1. Head east on Airport Rd. and turn right to merge onto I-95 S toward Jacksonville. 2. After about 0.7 miles, take Exit 363A to merge onto I-295 S.
3. After about 16 miles, stay left at the fork to continue onto FL-9B S, following signs for US-1/St. Augustine. 4. After about 5.8 miles, merge onto I-95 S.
5. After about 84 miles, take Exit 249A to merge onto FL-44 E toward New Smyrna Beach. 6. FL-44 E takes you straight into New Smyrna Beach after about 4 miles. Getting from Orlando to new Smyrna Beach isn’t a straight shot but is pretty reasonable time-wise. It will take you a little more than an hour to drive to or from Orlando, and the city is about 53 miles from New Smyrna Beach. You’ll take Interstate-4 north from Orlando, and then cut over east on FL state route 44. In no time you’ll be driving right into beautiful New Smyrna Beach! 1. Head north on Access Rd./Jeff Fuqua Blvd. from the airport. 2. After about 1.7 miles, use the right lane to merge onto FL-528 E.
3. After about 26 miles, use the left lane to take Exit 37 for FL-407 toward I-95 N/Titusville/Kennedy Space Center. 4. Continue onto FL-407 N for about 4.5 miles, then use the right lane to merge onto I-95 N via the ramp to Titusville. 5. After 37 miles, take Exit 249 for FL-44 E toward New Smyrna Beach. Daytona Beach is quite a bit closer. Less than 15 miles north of the area, it will only take you about 20 minutes to drive from Daytona Beach to New Smyrna Beach. US-1 S is the most common route to get to New Smyrna Beach from Daytona Beach. Take any route to US-1 S in Daytona Beach and simply drive south approximately 14.5 miles. This will take you to the central area of New Smyrna Beach. 1. Exit the airport heading west on Midway Avenue and make a left on S. Williamson Blvd. 2. After 1.6 miles, turn right onto FL-400 W.
3. Take the exit onto I-95 S.
4. After 11.6 miles, take Exit 249A to merge onto FL-44 E toward New Smyrna Beach. 5. FL-44 E takes you straight into New Smyrna Beach after about 4 miles. Driving from Tampa is a bit further of a drive but certainly manageable. Total driving time is approximately 2 hours and 30 minutes. You can get to New Smyrna Beach from Tampa by taking any route to I-4 E. Stay on I-4 E for approximately 119 miles all the way from Tampa to Exit 118 A – B toward New Smyrna Beach. After about 18 miles merge onto FL-44 E which takes you east into New Smyrna Beach. 1. Take George J Bean Outbound Pkwy south from the airport and use the right lane to take the ramp to FL-60 E.
2. After 0.5 mile, stay right at the fork and follow signs for Tampa, and merge onto FL 60 E.
3. After about 1 mile, use the right 2 lanes to merge onto I-275 N toward I-4. 4. After 5.4 miles, use the right lanes to take Exit 45B for I-4 E toward Orlando. 5. Stay on I-4 E for approximately 117 miles, staying right to stay on I-4 when needed. 6. Take Exit 118 A – B toward New Smyrna Beach. 7. After 18 miles, merge onto FL-44 E which takes you east into New Smyrna Beach. Now you’re finally here, it’s time for the fun to start! 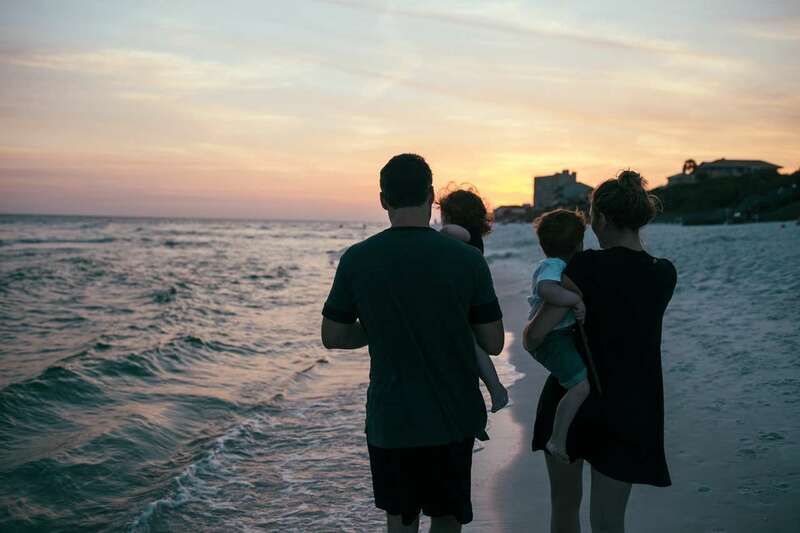 New Smyrna Beach is the perfect spot for a family vacation or any type of getaway. The options for things to do are endless. You’ll want to try outdoor activities like fishing, hiking, sailing and golfing if you’re a true enthusiast. The area is known for its water sports too. You’ll often see people kite surfing, scuba diving, and of course catching some waves on a surfboard or swimming. New Smyrna Beach is said to be one of the world’s top 20 surf towns, so if you love to ride the waves this is the place for you. For a little more excitement, whitewater rafting is another adrenaline pumping sport to try in the beautiful waters of New Smyrna Beach, and there are plenty of places to rent them along with guided tours. But the beauty of the area doesn’t stop there. New Smyrna Beach, FL has also been named one of America’s top small cities for the arts. Here you’ll find vast culture in architecture, the arts and history. Art related attractions include the Atlantic Center for the Arts, the Harris House, the Little Theatre, and a fine arts gallery. These are all spots you won’t want to miss and are ideal for experiencing a little culture on any family vacation. What would this town be without its beautiful beaches? You’ll find gorgeous white sand and sparkling waters just a short walk or drive away from wherever you decide to stay. There are several options for you to soak up some sun on the beach for your perfect vacation. Whether it’s a riverfront or an ocean view you are looking for, New Smyrna Beach has it all! There are nine parks in the area that you can choose to spend the day at. One of the best places to catch a sunrise is at the 27th Avenue Beachfront Park. There’s a boardwalk, sports facilities, plus a spot to fish and swim right off the beach. Callalisa Park is where you want to go to launch a kayak or canoe — this is a popular place to start out paddling with calm water. The newest park in the area is Esther Street Beachfront Park. As a spot with plenty of beautiful views, many call this area a hidden gem. If you’re looking to see some local wildlife with a trail to walk on, you’ll want to go to Indian River Lagoon Park. There’s a reason people talk about their trips here for years to come. No matter what you’re looking for during a vacation, New Smyrna Beach, FL is sure to have everything you need. Our beachside town will your schedule with fun things to do and make you want to never leave. We hope to see you soon!